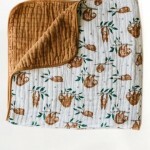 Our Slow Living reversible quilts have two original patterns for double the fun! 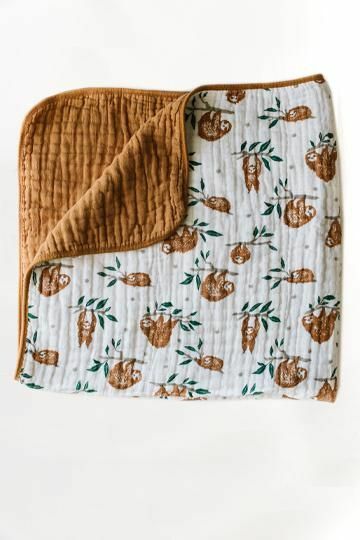 Four layers of muslin come together in a breathable but warm quilt perfect for babies, toddlers, cribs, play time, picnics, and pictures. They’re covered in sloths with a warm, brown backing.